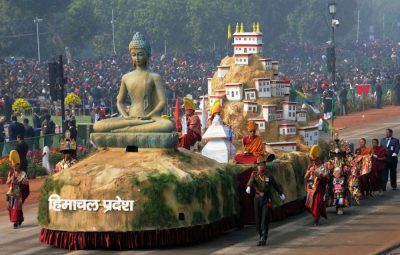 Himachal Pradesh is bestowed with natural beauty. 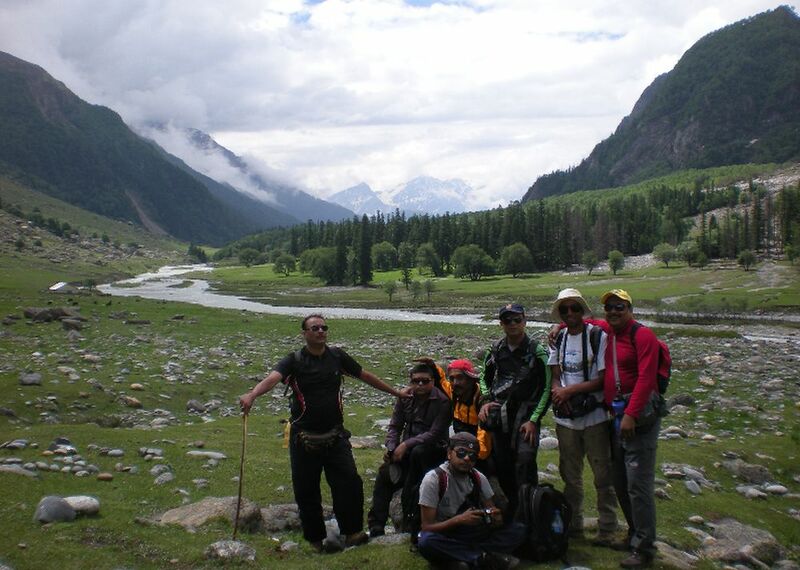 Its high mountains attract thousands of trekkers and nature lovers every year. 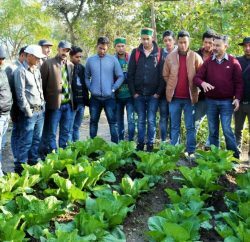 Angshuman Kar, working in a multinational company, from Kolkata is one them and every year make sure to visit one of unexplored valley in the region. 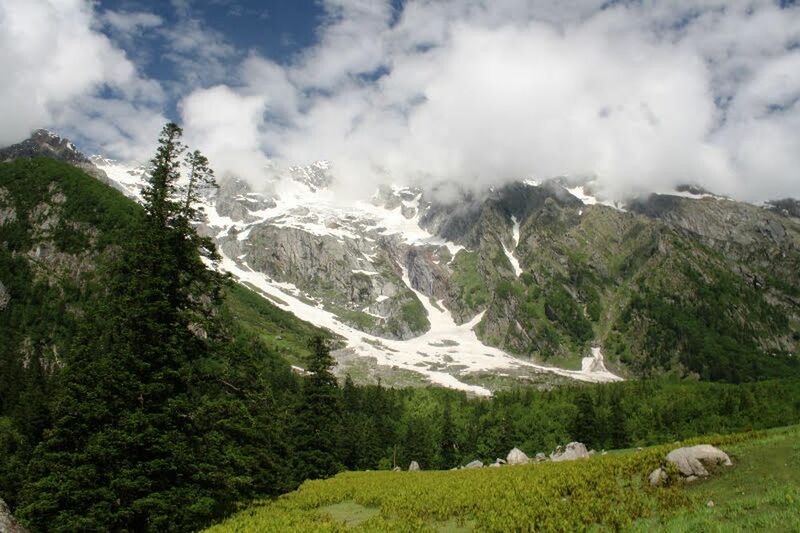 Bhaba valley is situated in Himachal Pradesh and connects Kinnaur with Spiti valley. There is some difference of opinion about the maximum height of Bhaba pass and that ranges from 4850 meter (15912 feet) to 4910 meter (16108 feet). 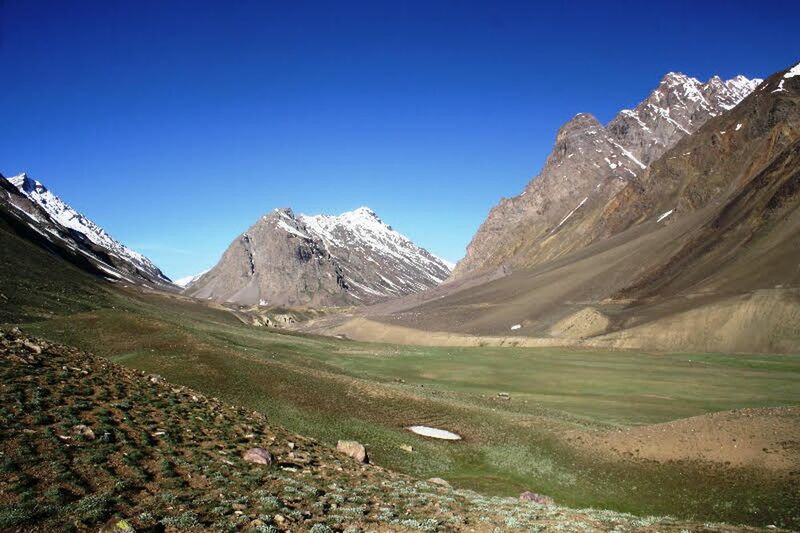 In this trek one starts from the green pastures of Kinnaur and ends in the cold Himalayan desert of Spiti, the elemental variation in this trek is overwhelming. 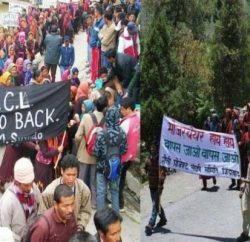 Kafnu to Mulling – This is an easy trek and should not take more than 6 hours for people who may not be physically very fit but won’t budge mentally. The walk is mostly flat with only one gradual ascent. 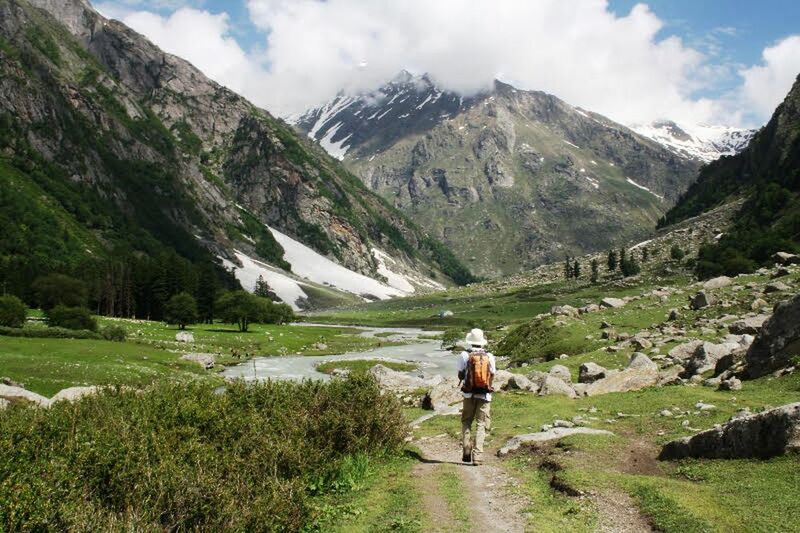 Mulling to Kara – This is an easy trek too and takes about 6 hours (same conditions). The walk is mostly flat with only 1 short ascent. 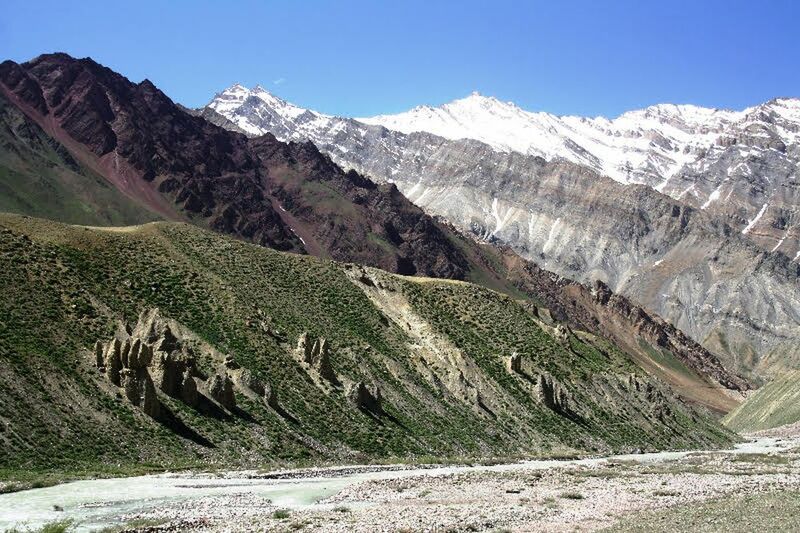 Kara to Pustirang – The highlight of this trek is glacial stream crossing, otherwise the trek involves mostly flat and one short ascent. Pustirang to Baldhar – This will be a long day and is advised to be started early in the morning. 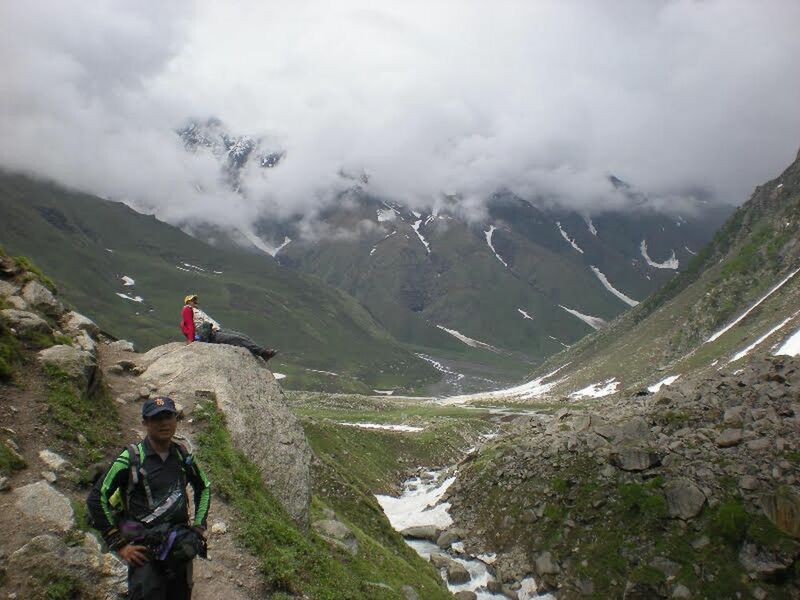 This trek involves ascent from Pustirang to Bhaba pass and then descent Baldhar. The ascent to Bhaba pass involves 3 steps. Step 1 is a long steep one (this is the main climb), step 2 is a short one but steep in between and the 3rd one starts with a descent and then a gradual climb to the top. Just after crossing Bhaba pass, there is a sharp descent and then gradual descent along side the Pin river. 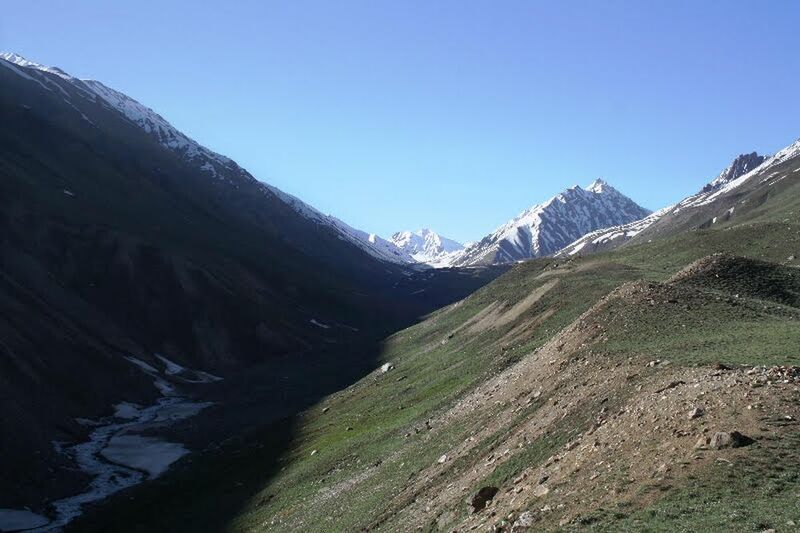 About 3 or 4 KM before Baldhar (just below the first ridge where the Pin river takes the right turn) there is a camping ground (Bara Baldhar) and one may choose to camp here after the tiring trek, but then next day reaching Mud will become a longer one. Also the climb down from the trail to the camp site and again climbing up to the trail next day will be an arduous one. The path from Bara Baldhar to Baldhar is a gradual descent, but the rocky trail is a hindrance. 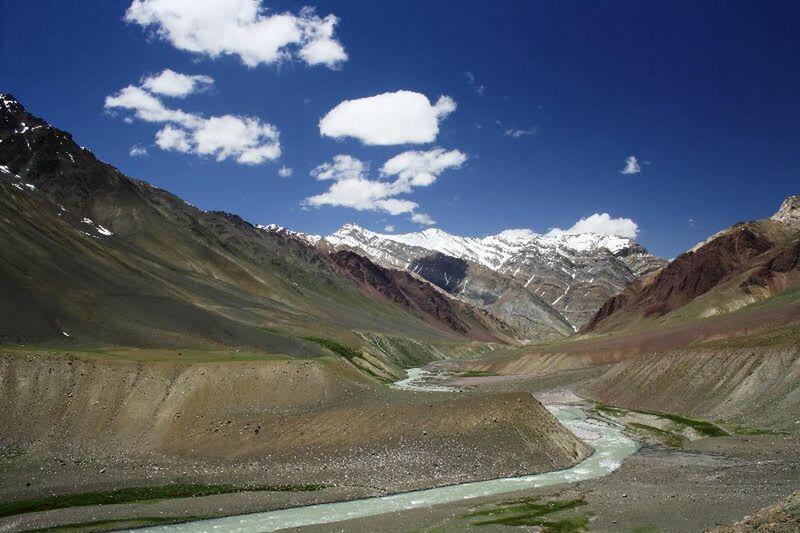 Baldhar to Mud – Baldhar to Mud is a gradual descent along the Pin valley and a very pleasurable one. There is a short ascent to Mud village after crossing Pin river. We started our journey from Howrah station by Kalka mail at 7:40 PM on 27-June’14 and reached Kalka at 4:40 am on 29-June’14. As this was the first trip to Himachal Pradesh for most of the team members, we opted for iconic Shivalik Express to travel from Kalka to Shimla. 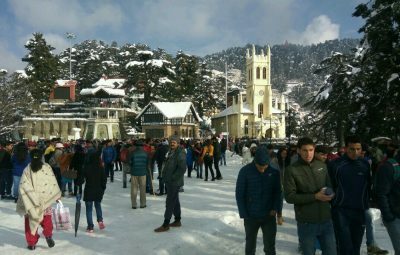 The journey from Kalka to Shimla was a pleasant one and we reached Shimla at 10:30 am. We were supposed to start our trek by 8 AM, but due to our late arrival to Kafnu last night we started our trek at 11 AM. 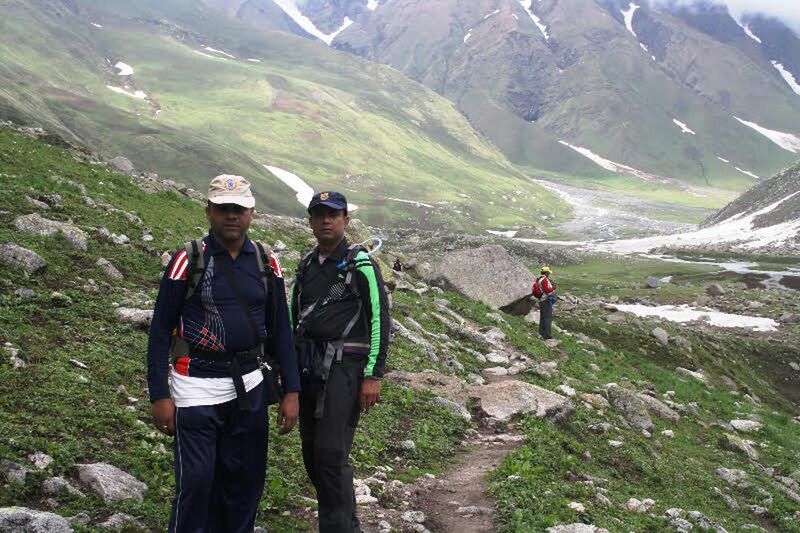 Trek was a gradual ascent alongside Bhaba River and a very pleasant one. Instead of aiming for Mulling, we had to end today’s trek at Selti by 2:30 PM as we had a couple of first time trekkers in our team and it was the 1st day of the trek. The Selti campsite is a nice one, but nothing when compared to Mulling campsite. Returning to the hills after 1 year (last year we went to Roopkund), it was a heavenly feeling all along. Throughout the day we had bright sun shine, with some occasional rain cloud floating around. We could start at 7:00 in the morning and we had to cover yesterday’s lost ground, i.e. Selti to Mulling and then reach out for Kara. Morning was full of bright sun shine and everyone was cheerful. The gradual ascent to Mulling meadow was a very pleasant and refreshing one. The campsite in Mulling, beside Bhaba river, is one of the best in my opinion. We were supposed to trek to Pustirang, but due to heavy rain we had to stay put at Kara. In the afternoon, we strolled around the campsite. 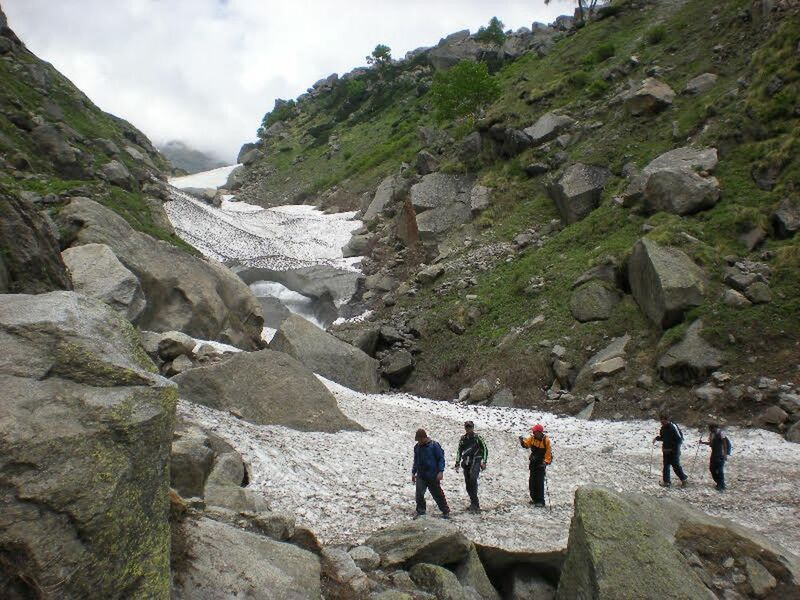 Trek started at 6:30 in the morning with crossing of a glacial stream. The stream is pretty fierce at some places, considering our ability. We were advised to cross the stream early in the morning, as the flow of water is less at the day break and increases as the day forwards. 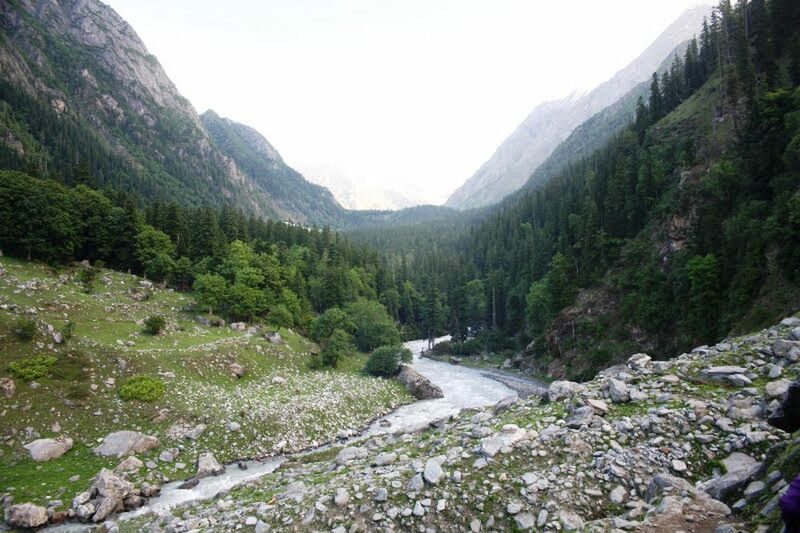 After crossing the stream, there is a little ascent towards left, after which it is a level walk till Pustirang. We got lot of snow cover in this stretch from avalanches from last winter. 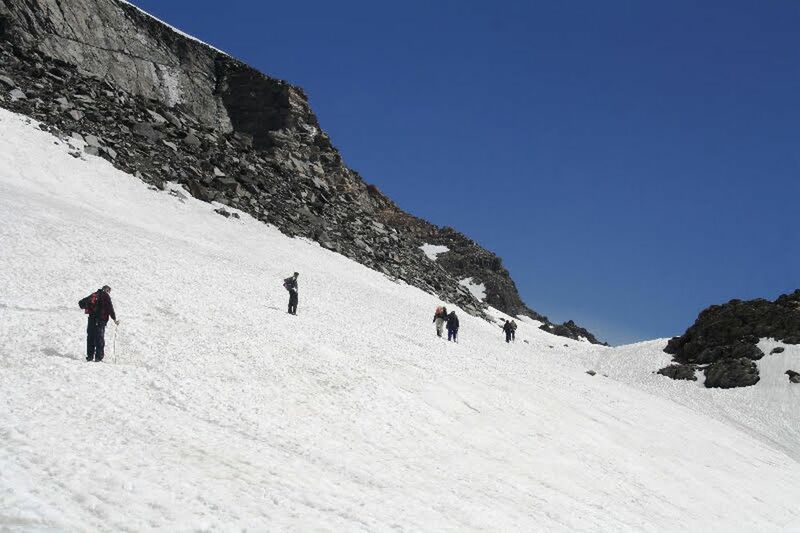 This really helped us prepare for the Bhaba pass crossing, where the snow cover was much more. There were 2 campsites in Pustirang, lower and upper. We had to go for lower campsite as the higher one was under snow. 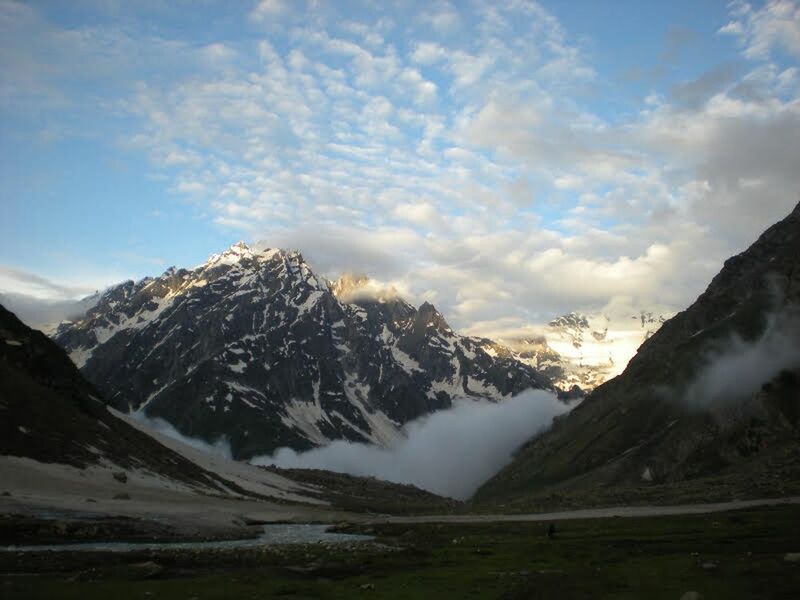 The view from the upper campsite is magnificent and would have saved a few minutes of 1st ascent next day for Bhaba pass. This is the only tough day of the whole trek. We planned to start at 5 AM, but could start only at 5:40 AM. 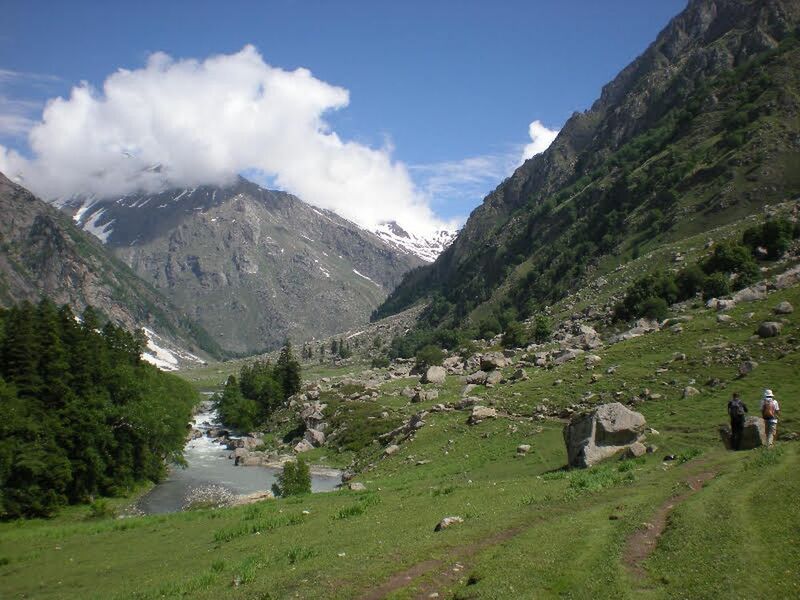 Trek was made up of 3 parts, a) ascent to Bhaba pass, b) descent from Bhaba pass to Pin valley and c) trek along Pin river till Baldhar. 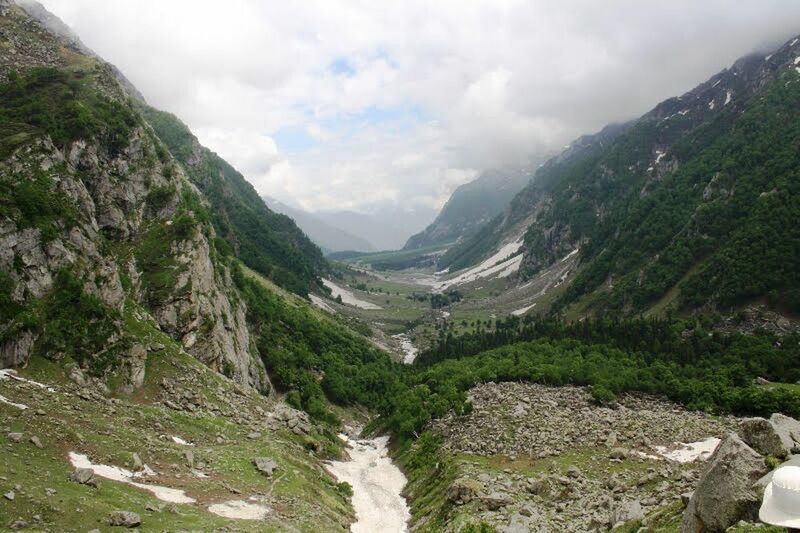 Both ascent to and descent from Bhaba pass are pretty steep, but the trek along Pin river is gradual descent. Ascent to Bhaba pass involves 3 flights, the first one is the steepest one and it took us about 2.5 hours and next 2 together took 1.5 hours, i.e. the whole ascent we made in 4 hours. Except at the early part of this ascent, major part was on heavy snow. Descent from Bhaba pass also involves 3 flights, but we were lucky that this year the whole stretch was under heavy snow (abnormal for this time of the year) and we used sledging to come down these flights. Due to the sledging, it took us very little time for this descent. Trek along Pin River till Baldhar was a long walk over snow till Bara Baldhar and from Bara Baldhar to Baldhar it was mostly on rocks from landslides or scree. Till Bara Baldhar, the whole stretch was under snow and during this part the weather was really bad with some initial rain and then with snowfall. But there was a peculiar phenomenon, after we turned right for Baldhar, at Bara Baldhar, the weather turned from worse to better !!! and that’s too within a distance of not more than a kilometre. Trek from Baldhar to Mud is along Pin river and pretty flat. We crossed 3 rivers and all had bridges on them. 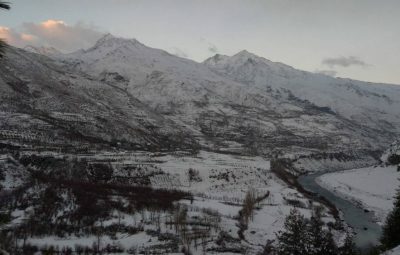 The first one is on Baldhar Nala, just after the campsite and the last one is on Pin river, just before the final ascent to Mud village. One could see the Mud village only after a short time in the trek, but it is a long way. 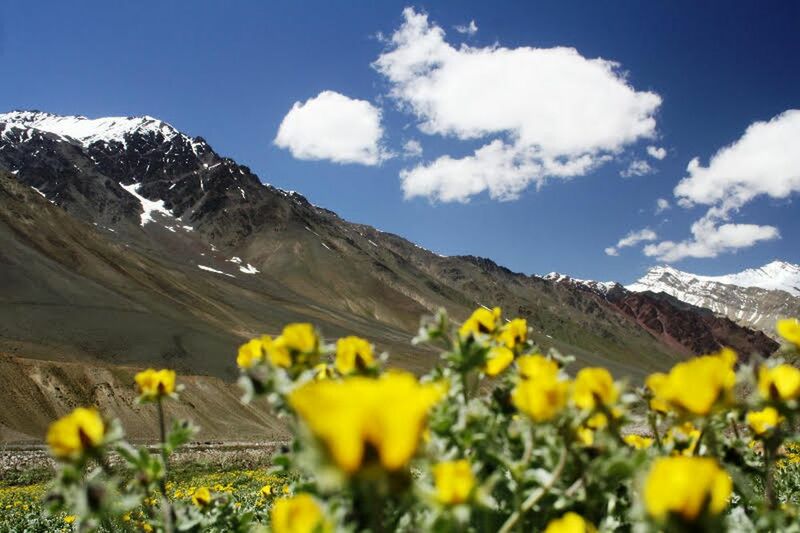 During this part we first experienced the cold desert of Spiti, the wind temperature was around 20°C with snow here and there, whereas the temperature of the rocks were about 35°C. The variation of colour of the rocks were astounding – bright yellow, light to dark magenta, orange are the prominent ones. 1. Accommodation in Kafnu – there is only 1 hotel, Lake View Resort, in Kafnu and it fills up pretty fast and so it is better to ask your guide to book it for you in advance. Caution – the food can be very costly if you don’t inquire about the price beforehand; each plate of chicken curry cost us Rs. 400/- whereas the asked price of other chicken dishes was around Rs.150/-. 2. Accommodations in Mud – there are numerous comfortable Guest house / Home stays in Mud. If you are not having a really bad luck, getting accommodation should not be an issue. Even if you don’t get accommodation in Mud you can move to Kaza, the sub-divisional headquarter of Spiti, which is only a 2 hours’ drive. 3. 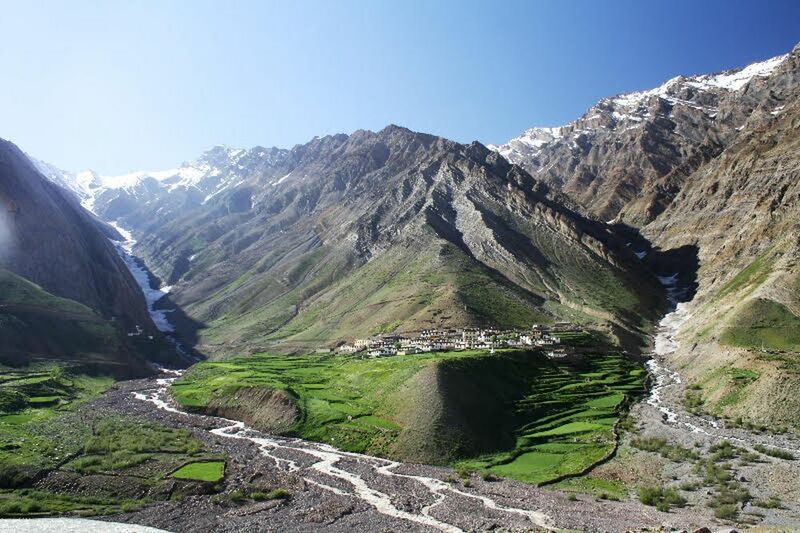 Accommodations in Kaza –There are no dearth of good hotels in Kaza with very good facilities. 4. Guide for Bhaba pass trek – Our guide was Billu Negi Wangpa and cook was Jai Negi. 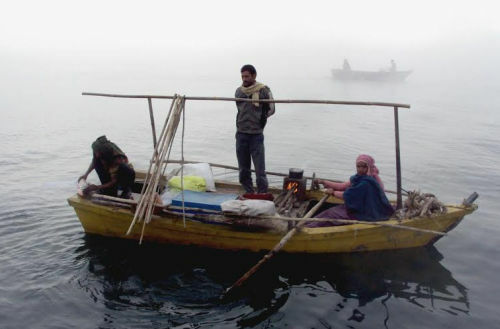 Actually Jai Negi is a guide too, but as our intended cook could not make the trip Jai Negi took up that position. Jai Negi is a certified Guide and has done advance course from Atal Bihari Vajpayee Institute of Mountaineering and Allied Sports (Manali). As a guide Billu Negi is very good, but we didn’t like the way he overcharged us after the trek ended. The total expense he proposed before we started was Rs. 45000/- (for 7 persons), but at the end of the trek we ended up paying Rs. 67000/-, i.e. an almost 40% more. 5. 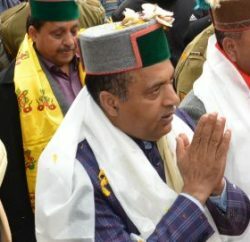 Vehicle – we contracted for Shimla to Kafnu drop and then Mud to Manali drop. 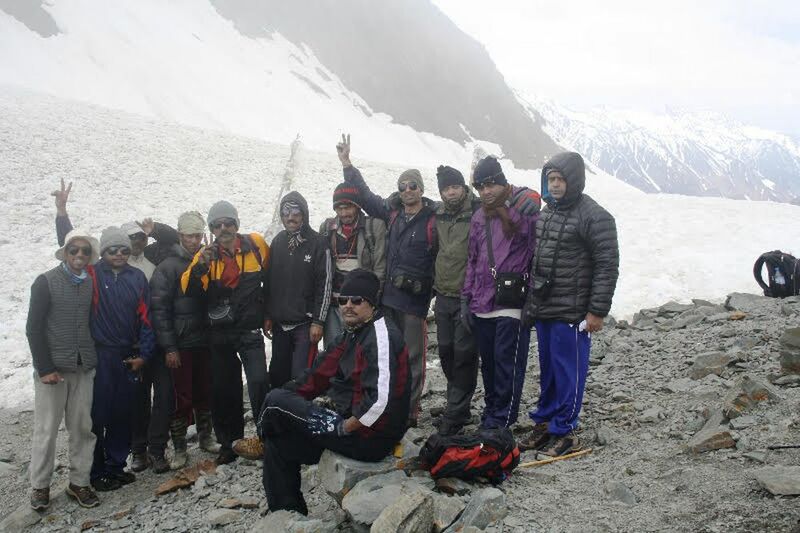 Mud to Manali was in 3 days including Spiti trip of Dhankar, Kaza, Comic, Lengcha, Kei, Kiber & Chandertaal. The total cost for this vehicle trip was Rs. 23000/-. a. If someone wants to skip the Spiti trip, then bus service is available from Mud to Kaza in the morning. From Kaza, buses are available for Manali but I am not sure about the timings. There is a good bus stand in Kaza. Hope the information shared above helps people interested about Bhaba pass trek. 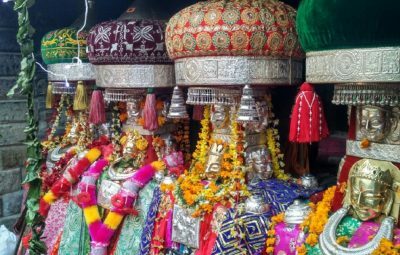 Thank you Angshuman Kar for sharing your travelogue. 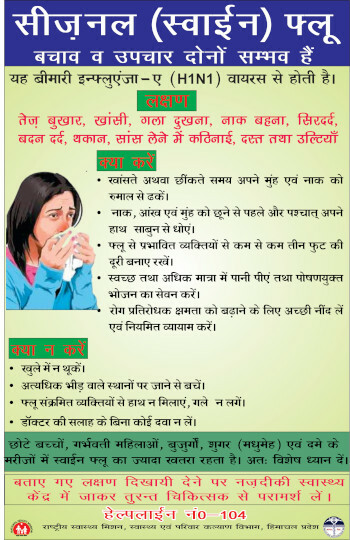 Hope it’ll help fellow trekkers. 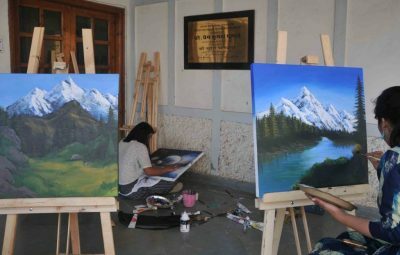 Note: Pictures were taken by Angshuman Kar and other fellow trekkers, and are being used in this article with his permission.